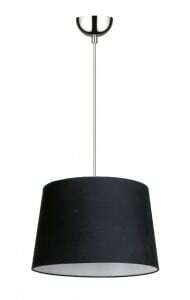 Thank you for submitting your question about Black Alvin E27 60W floor lamp. The Alvin Black Floor Lamp - the perfect solution for those of you who have a small interior and want to optically enlarge it - a floor lamp, whose luminous flux is directed upwards will provide an optical magnification of space. This lamp fits into interiors designed, for example, in the Scandinavian style . 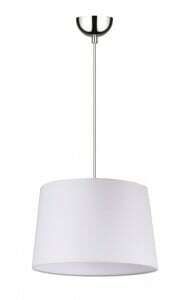 Presented luminaire wonderfully used in the bedroom, office or living room. This lamp allows you to mount 1 light source with E27 socket and a maximum power of 60 W. The lamp is made of great quality materials: metal and fabric. Lamp with width: 600 mm, height: 2200 mm.